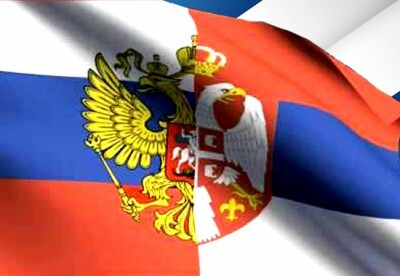 The highly influential and well-connected Russian International Affairs Council (RIAC) is proposing that Moscow organize a multilateral conference to re-divide the Balkans along ethnic lines, which would advance the controversial proposal made by former British diplomat Timothy Less in late 2016 but might also inadvertently open up Pandora’s Box, though it could very well be that Russia thinks that this process is “irreversible” and that it should therefore seek to “responsibly guide” events just like it’s attempting to do when it comes to Syria’s “decentralization”. Each of these pieces seamlessly flows into the next, with the first one being a briefing on what’s happening in the Balkans, the second explaining the importance of Russia’s role in settling the ‘Kosovo Question’, while the last one brings it all together to propose a “package solution” for the region. “External players pursue first and foremost their own interests in the Balkans. As a rule, they only slightly match with the real needs of the region and its population…It seems, there is no indication that external actors will refuse to act unilaterally, and intra-regional political forces will suddenly become negotiable. However, it is also impossible to leave the situation on its own as well as to give a “carte blanche” to those who prefer destructive policies thus harming the Balkans and its peoples and the prospects for a comprehensive, sustainable, fair and comprehensive settlement. Under these circumstances, it would be extremely advantageous and timely for Russia to offer a multilateral format of a “general Balkan settlement,” which would be undoubtedly beneficial to all intra-Balkan political actors and extra-regional powers as well…Even if such a proposal is met with hostility, it should be put forward. The “spontaneous” territorial organization designed for the Balkan peoples did not bode well with them. Some representatives of the local establishment and the expert community pass the verdict that it ”failed miserably.” Ethnic groups are divided between different political entities. And they do not always feel comfortable there. Their vital interests are threatened, and it is possible to keep them from possible collisions and redistributions only due to some external factors. Many countries and regional entities alone are simply not viable. Their successful future can be associated exclusively with integration, association, alliances, searching for some other forms and components of statehood. They are able to exist normally only under external control or as a part of some other entity. Maintaining the artificial existence of ethno-national and territorial delimitation is leading nowhere. It will generate tensions, fuel various extreme nationalists and populists, accumulate crisis potential, which is already big enough. Therefore, within the region, as well as among the international expert communities, various actors and their configurations are holding a nonstop informal discussion in order to outline possible scenarios of the Balkans settlement in a long run. — Macedonia would be in a worse position, left without most of its own territory. Moreover, a tendency to tear the remains among Bulgaria, Greece, Albania and Serbia is notable here. One of possible scenarios for Macedonia in this case is to form a confederation with Bulgaria or Serbia. Indeed, the “Pandora’s Box” should never be opened. The point here is that such an effect could be entailed by any bilateral private agreement on exchanges and revisions getting beyond multilateral inclusive format and “package solution,” especially under pressure from Washington, following nothing but its own geopolitical ambitions. It will be extremely difficult to control further destructive processes awakened by this approach in the future. At least, if it’s even possible. Judging from the text, the authors are keenly aware of the risks involved with their proposal but seem to believe that Russia should try to ‘responsibly guide’ what it might regard by this point as being an ‘irreversible process’ similar in sense to what it’s doing when it comes to Syria’s ‘decentralization’. In the Mideast context, “Israel’s” “Yinon Plan” for dividing and ruling the region seems to have partially succeeded in Syria after the establishment of an American “sphere of influence” within the Kurdish-controlled areas east of the Euphrates and a Turkish one in parts of the Northwest. Accordingly, since Russia lacks the political will, motivation, and mandate to reverse these processes, it’s taken to “passively facilitating” them as part of its larger 21st-century ambition to become the supreme “balancing” force in Afro-Eurasia. Similarly, Russia appears ready to apply the experiences that it learned in the Mideast to the Balkans, except this time “responsibly guiding” former UK diplomat Timothy Less’ explosive late-2016 proposal to re-divide the Balkans along ethnic lines, which is basically a regional variation of the “Yinon Plan”. The common strategic denominator between both Eurasian Rimland theaters is that Russia seems to conceptualize itself as operating within what the author previously described as the “19th-Century Great Power Chessboard” paradigm of prioritizing its relations with similarly sized Great Powers via inter-elite diplomacy at the perceived (key word) expense of its smaller- and medium-sized partners, all of which is occurring in advance of what Moscow believes to be the most pragmatic way to “balance” regional affairs and accelerate the emerging Multipolar World Order. This shouldn’t be surprising for any objective observers either since Russia – like any country – will always seek to promote its own interests first and foremost, which it has a track record of doing especially when it comes to Balkan affairs. For example, the 1878 Treaty of San Stefano sought to promote Russia’s interests through the creation of a so-called “Greater Bulgaria” before its Great Power peers diplomatically intervened to scuttle it, so something similar of the sort could occur in the near future if Moscow thinks that the Russian-facilitated implementation of Timothy Less’ proposal would strengthen its influence in the region through inter-elite diplomacy and other methods. Importantly, Russia’s new regional partner Croatia would only expand under RIAC’s proposal just like Bulgaria was poised to do under San Stefano while Serbia would have to “trade” some of its land with others. Ultimately, this entire regional fragmentation process began with Kosovo, which opened up Pandora’s Box by violating the unspoken principle that internal administrative borders are supposed to remain sacrosanct following the independence of their constituent entities. Although related, Bosnia’s independence from Yugoslavia was different from Kosovo’s separatist campaign against Serbia because the former used to be an internal unit on par with its other now-independent counterparts such as Serbia while Kosovo was an autonomous province under Belgrade’s jurisdiction. The externally backed efforts to redraw the Balkan map catalyzed ethno-centric centrifugal forces (first and foremost among them the fascist-supported World War II project of a so-called “Greater Albania”) that Timothy Less’ proposal is attempting to exploit and which are receiving a massive boost by Macedonia’s progressive dismantlement as a state following its recent name change and Albanian language law. Serbian President Vucic is suspected of controversially conspiring to change his country’s constitution in order to remove the passage stipulating that Kosovo is an integral part of its territory prior to clinching a deal to sell out the cradle of his civilization for expedited entry into the EU, though he can’t do this without committing political suicide unless it’s executed under the right “cover’. Therein lays the domestic soft power relevance of RIAC’s proposal to “responsibly guide” what Moscow might believe by this point in time to be the “irreversible process” of Serbia’s recognition of Kosovo’s “independence” because it could be relied upon to “soften the blow” of what Vucic is about to do. Russophilia is alive and well in Serbia, so people might react differently to this happening if it has Russia’s approval. That’s not just wild speculation either because Vucic visited Moscow last October, during which time the prominent Russian media outlet Kommersant reported that the Serbian leader asked his Russian counterpart to support his plan for Kosovo. Vucic curiously said right afterwards that “we got everything that we looked for. We agreed on everything”, though he “could not reveal the details.” In any case, it was interesting that Russian Foreign Minister Lavrov declared a month later that “If Belgrade considers any settlement option acceptable to Serbia, we will be ready to consider it in a constructive manner”, signaling that Russia won’t be “more Serbian than the Serbs” in “challenging” the will of Serbia’s internationally recognized government if it cuts a deal on Kosovo. If successful, then Vucic’s “Kosovo Compromise” would be the geopolitical culmination of the 2000 “Bulldozer Revolution”. For as controversial as the thought of a Russian-organized multilateral conference on ethnically re-dividing the Balkans may be, Russian think tank experts can’t be faulted for wanting to advance their country’s national interests in a “creative” way, even if this amounts to replicating the strategic fundamentals of the Syrian situation in Serbia. Instead of the “Yinon Plan” for the Mideast, Timothy Less’ explosive late-2016 proposal for the Balkans is being used as the blueprint, though in both cases it seems as though Russia is resigning itself to the “inevitability” of both plans and therefore believes that it’s best to try to “responsibly guide” these processes in the direction of Moscow’s interests as much as realistically possible. While it remains to be seen whether the Kremlin is receptive to RIAC’s recommendation, the very fact that it’s being put forth at this time is significant in and of itself.